Addiction experts are concerned that Senate-passed legislation aimed at combating the opioid crisis would have limited impact since it lacks the kind of funding they say is needed. While they lauded some of the provisions of the Opioid Crisis Response Act, many experts felt the bill's content represented another missed opportunity on the part of lawmakers to take meaningful action to curb the tide against an epidemic responsible for killing more than 47,000 people in 2017. "A lot of the focus federally, and particularly when you look at this bill, is around continued reduction in opioid prescribing," said Michael Botticelli, executive director for the Grayken Center for Addiction at Boston Medical Center and former director of the White House's Office of National Drug Control Policy. "The biggest deficit that I see is in not addressing the significant funding gap that we have in providing states and local communities the resources they need to dramatically expand access to treatment." Among the major proposals in the bill is the reauthorization of 21st Century Cures Act grants that provided $1 billion over two years to states, and gave the National Institutes of Health more flexibility to approve "high impact, cutting-edge" projects such as finding a new non-addictive painkiller as an alternative to opioids. The bill also expands a program that supports training for first responders in administering the overdose-reversal drug naloxone, would allow healthcare providers participating in the National Health Service Corps., to provide services in schools in areas hit hardest by the opioid crisis, and provide added resources to help educate providers on improving pain treatment management. Most of the funding proposals included in the bill either help expand or continue existing grant programs but offers little new funding. The Congressional Budget Office estimated the legislation would add $7.9 billion in spending over the next five years. Dr. Andrew Kolodny, director of opioid policy research at Brandeis University, said a more robust, long-term funding commitment was needed to meet the demand for treatment. It is estimated only 10% of the roughly 2 million patients with a substance-use disorder have access to treatment. Kolodny estimated it would take a funding commitment of about $6 billion annually over the next 10 years dedicated solely to expanding access to treatment to make significant progress. "Without adequate funding and a commitment toward long-term funding it's pretty meaningless," Kolodny said of the Senate bill. "The onetime money here and there doesn't work for a state when it comes to building out new treatment programs." Botticelli said lawmakers should be discussing ways of creating the type of yearly funding mechanism that has been appropriated to fight the spread of HIV/AIDS through the Ryan White program. Since 1990 the program has provided more than $2 billion a year to pay for medical care and support services for economically vulnerable people living with HIV. "Short-term grant programs and short-term resources—while we significantly need to increase those—those efforts need to be sustained over time," Botticelli said. A similar bill passed in the House in June, and a final version will need to be negotiated between the two chambers before being sent to President Donald Trump to sign. 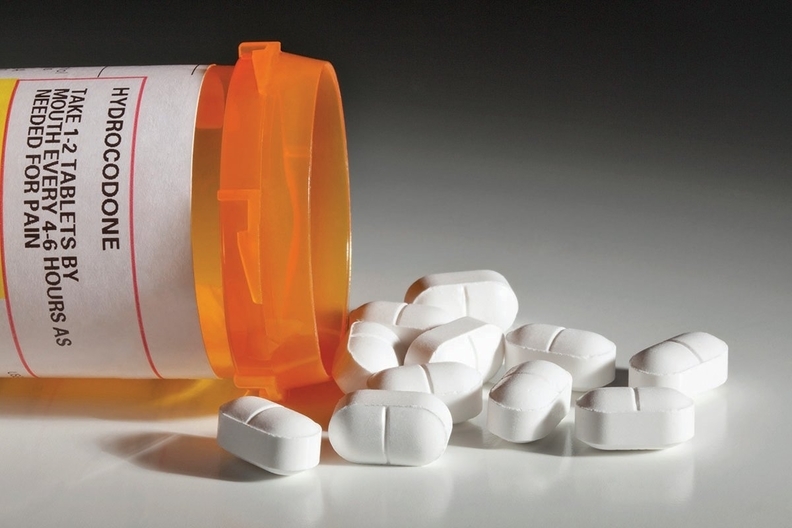 The House bill includes provisions that address issues Dr. Kelly Clark, president of the American Society of Addiction Medicine, said were vital toward any serious effort to address the opioid crisis. She said she hoped a final version of the bill would seek to modernize the Institutions for Mental Diseases exclusion rule, which prohibits federal Medical reimbursement to cover the cost of inpatient treatment for mental health or substance use disorders in psychiatric facilities with more than 16 beds. Clark said lawmakers needed to amend a substance abuse privacy law that many addiction medicine experts have cited as a barrier from providing more coordinated care of such patients. "We have an absolutely cracked foundation of obsolete legal restrictions that keep doctors from caring for their patients and patient from getting into recovery," Clark said. Correction: An earlier version of this story misstated that the Senate bill would make permanent a temporary rule allowing nurse practitioners and physician assistants to prescribe medication-assisted treatment.